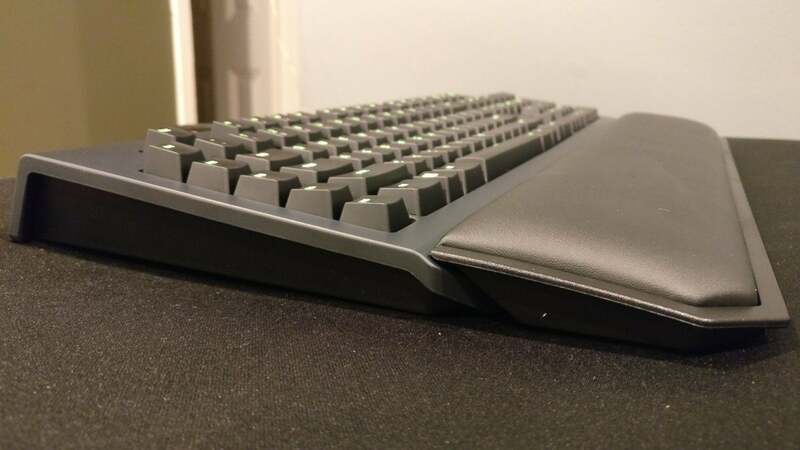 When I reviewed Razer’s faux-mechanical rubber-dome Ornata keyboard a few months back, I mostly found myself admiring its wrist rest. Yes, wrist rest. Usually a pack-in wrist rest means a cheap piece of hard plastic or, if you’re lucky, rubbery plastic that snaps into place and works just well enough that you’re loathe to throw it out and replace it with something nicer. But in the case of the Ornata, it meant a plush, leatherette-covered hunk of foam about an inch thick held gently to the chassis by way of magnets. This was the all-leather-interior luxury car of wrist rests, and it came attached to...a rubber-dome keyboard. High time then that the same wrist rest makes its way to Razer’s actual mechanical keyboards, such as the Razer BlackWidow Chroma V2 I’m reviewing here—which happens to offer a new Razer Yellow switch, too. Aside from the wrist rest, not much has changed about the Razer BlackWidow Chroma’s design. This is essentially the same keyboard I reviewed nearly three years ago. At some point Razer swapped the old blocky typeface on each key with a slim sans-serif, but otherwise the two are almost identical—same jet-black rectangular slab, almost 2001: A Space Odyssey monolithic. It’s sleek. Even if you’re not a fan of Razer’s design language, I think the BlackWidow Chroma is one of Razer’s best. To some extent that’s because it’s so inoffensive—no-frills, and dressed in that most reliable of colors: black. But still, there’s an art to minimalism and I think the BlackWidow Chroma executes perfectly. Or almost perfectly. There are some baffling omissions, or rather one very baffling omission: dedicated media keys. 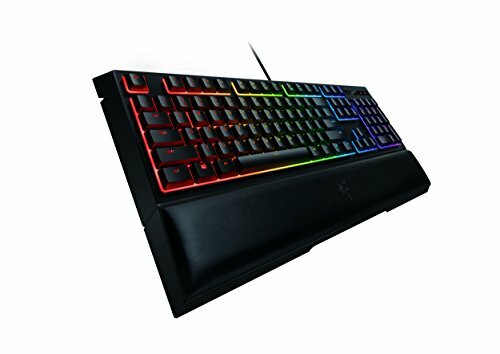 Why Razer continues to double up media controls on the Function row, especially on its flagship keyboard, is beyond me. A huge issue? Absolutely not, but with the keyboard market both increasingly crowded and increasingly granular, an omission of that size is a notable delineation between Razer and practically all the competition. I’m a big fan of volume rollers, but even just dedicated volume keys would be handy—a fact I’ve really come to appreciate while playing Divinity: Original Sin II, where I need my Function keys to actually work like Function keys in the context of the game. The same goes for dedicated Game Mode keys, a dedicated macro recording key, and so on. 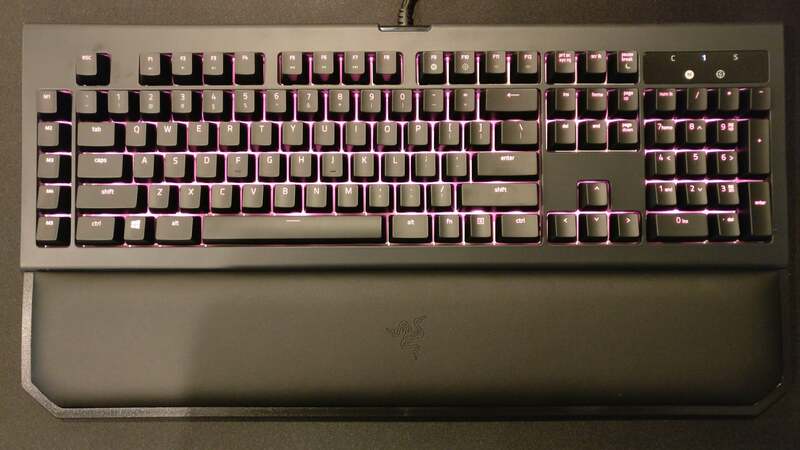 Razer’s got a few premium features in this board, but with the exception of the five programmable macro keys arrayed down the left side, most of these features are tucked away as secondary functions. It’s excellent. I just can’t say it enough. With about an inch of foam padding framed by a thin plastic chassis, the BlackWidow ever-so-gently cradles your wrists in a leatherette-clad cloud. You can also get a bit creative with it, since it’s only attached to the keyboard magnetically. Want to angle it a bit, or pull it away from the keyboard an inch or two? Done. The range of options is still limited—it is, after all, a wrist rest—but better than (for instance) the one-size-fits-all approach taken by Corsair. Lighting on the BlackWidow Chroma V2 is also great. 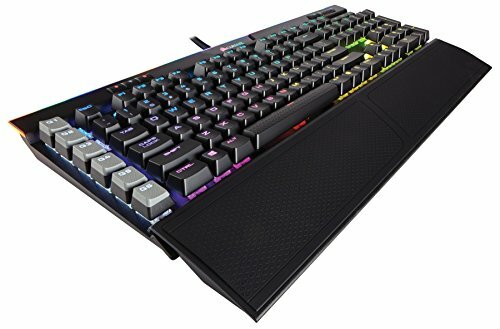 I think Logitech gets top marks thanks to the centralized LED in the Romer-G switch, and Corsair’s K95 is a decadent lighting feast, but the original BlackWidow Chroma was a beauty back in 2014 and the Chroma V2 remains stellar. Again, the problem is more that the competition got fiercer in this department. Razer’s new Yellow switch keeps with the times, though. I spent quite a bit of my Corsair K95 review praising its new Cherry MX Speed (Silver, to third parties) switches—a linear switch with very low resistance. Think “Cherry Red with a hair trigger.” Even resting your finger on a key too heavily can be enough to trigger an actuation. And while that can be a pain sometimes when typing, it’s a godsend while gaming—as long as your muscle memory is precise. 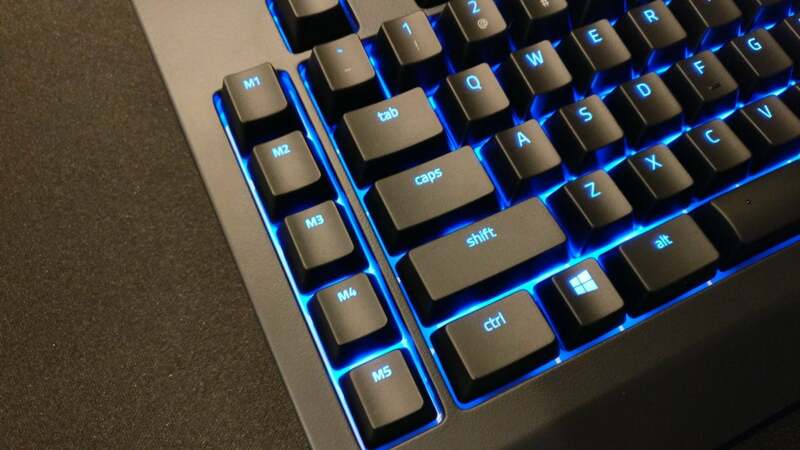 Quick reactions, double taps, the Cherry MX Speed makes it easy. 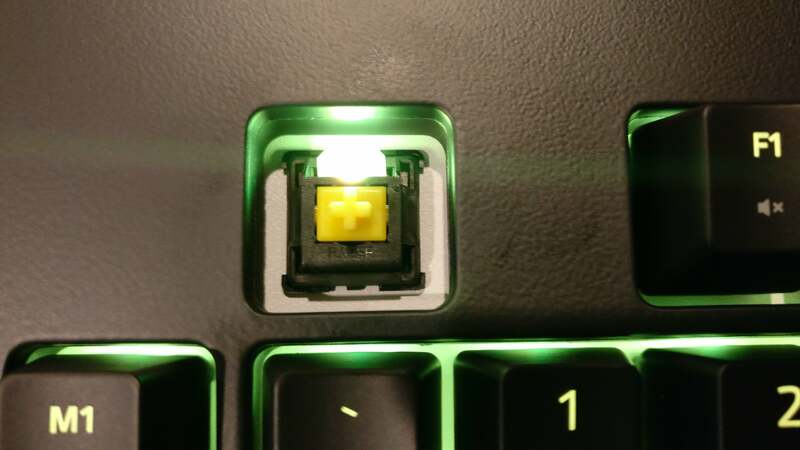 The new Razer Yellow switches are Cherry MX Speed clones. They feature the same travel distance of 3.5mm, the same actuation point of 1.2mm, the same actuation force of 45g, and the same linear response. At least on paper, the two are identical. To my fingers, too. Past Razer switches have always taken liberties with Cherry designs—Greens, for instance, are essentially MX Blues, but with a slightly shorter actuation point and a somewhat stiffer action. And you could sense it. Maybe not the layperson, and in day-to-day use the differences wouldn’t amount to much, but a well-trained typist who knows what to feel for could distinguish between the two, even when blindfolded. How do I know? Because I did it. I’m not confident I could tell Razer Yellow and MX Speed switches apart. I’ve A/B tested them for a couple weeks now and the two are indistinguishable to me. That’s good for Razer. 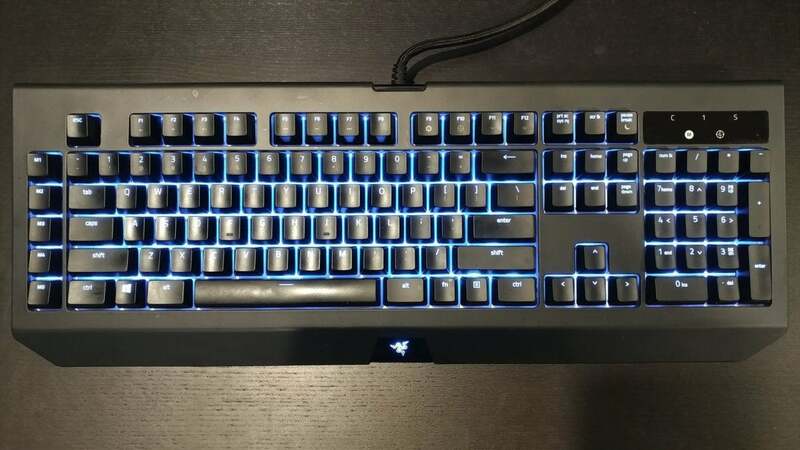 In the past, Razer’s switches have suffered the same stigma as other “knock-off” Cherry switches, and to be fair there are other factors that are harder to test for—durability, for instance. But as far as first impressions go? Yellows might as well be true Cherry MX switches. Even though they’re not. With that in mind, expect the same benefits as Cherry MX Speeds—a very fast, low-resistance typing experience, suitable mostly for gaming but which can be satisfying for day-to-day use too, provided you don’t mind the occasional fat-finger error. I’ll say this: A couple of months with first the K95’s Speed switches and now Razer Yellows has increased my precision tenfold, just out of necessity. It’s a good keyboard. Stellar lighting, supple wrist rest, and Razer’s new Yellow switches make this probably the best Cherry MX clone I’ve ever used. The BlackWidow Chroma V2 is a solid choice. But it does feel somewhat like Razer’s falling behind the competition, or rather that the competition’s caught up. 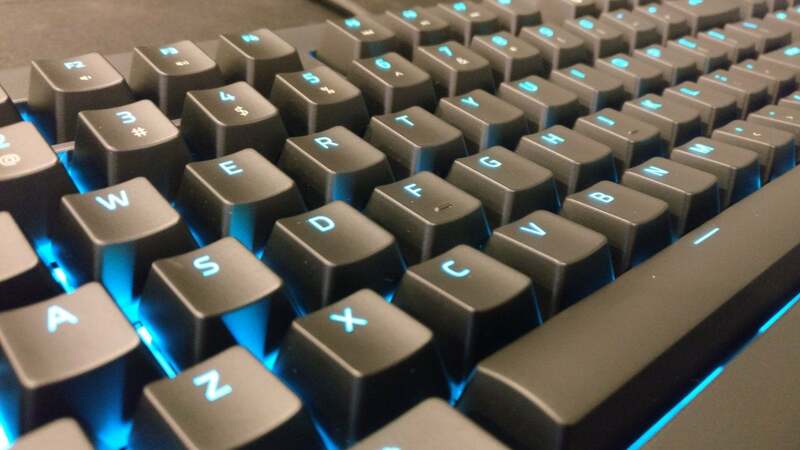 In 2014 the BlackWidow Chroma was our best-rated RGB keyboard, but now it’s an also-ran in a field that keeps getting more and more crowded, where prices keep falling, and where gimmick features are the sole way to really stand out. Is a sweet wrist rest enough to stave off the pack when third-party wrist rests abound? Hard to say. If you’re not interested in the wrist rest, or prefer to bring your own, you can probably dock another half-star off the score here. In any case, I hope Razer’s next flagship aims a little higher. At heart this is the same keyboard I reviewed three years ago, and in peripherals terms that’s ancient. Media keys would be a good start. It’s the little things, you know? Razer's BlackWidow Chroma refresh features a plush wrist rest and Razer's new Cherry MX Speed-like Yellow switches, but a lack of media keys and other modern luxuries leaves it feeling a bit behind the competition.